Heat oil in large nonstick skillet over medium-high heat. Add chicken; cook and stir 3 to 5 minutes until no longer pink inside; drain excess liquid. Stir in diced peppers, seasoning mix and water. Simmer uncovered 3 to 5 minutes, stirring frequently. Remove from heat. Evenly divide chicken mixture over half of each tortilla. Sprinkle each with 1/4 cup (50 mL) shredded cheese; fold over to make half-moon shape, pressing lightly. 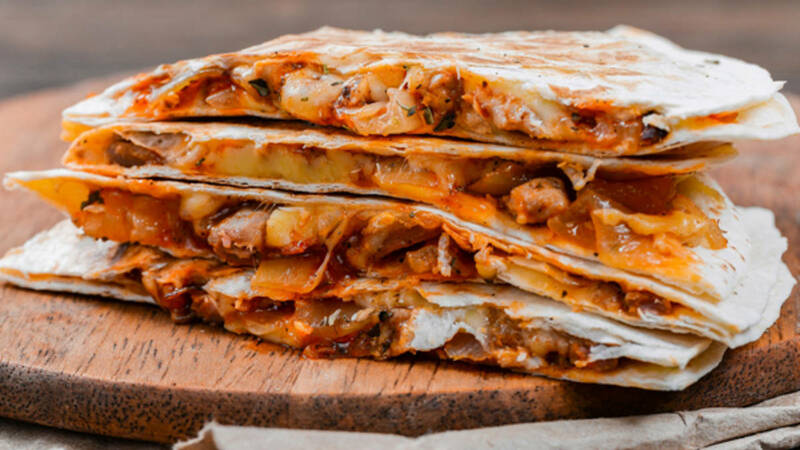 Cook quesadillas in an ungreased, nonstick skillet 3 to 4 minutes per side or until tortilla is browned and crisp and filling is hot. Cut into wedges and serve with salsa and sour cream for dipping, if desired. Tip: Try grilling on the barbecue for added flavour.